That’s right; I said the healing power of NASCAR. Substitute football, basketball, your favorite reality TV show, anything that can get you all het up. Let me explain: I try to be kind. I really do. I pull over to let drivers go ahead of me so neither of us gets upset. I send loving thoughts to people I see walking down the street. I smile at the person next to me in line at the store and I have gotten really good at managing my snarkyness from coming out so as not to put my foot in my mouth. But, I need an outlet. I need to be able to be snarky, to yell and say a bad word or two. So I give myself a few hours a week to let go and be as inappropriate as I want. I can yell and swear about the 48, 14 or 18 being in the lead. I can be snarky about the announcers saying the same things over and over. I can jump up and down when the 16, 24, 11 or 15 are up front and I can feel huge disappointment when something happens to take them out of the race. I admit that I like the occasional wreck and a good rivalry is always fun to watch. And then it is over and I have a much easier time getting back to being nice. So, in a way, I am healed by NASCAR and I think you should find something that can heal you in the same way. Do you have a favorite sports team that you love to watch? Do the real housewives make you crazy? 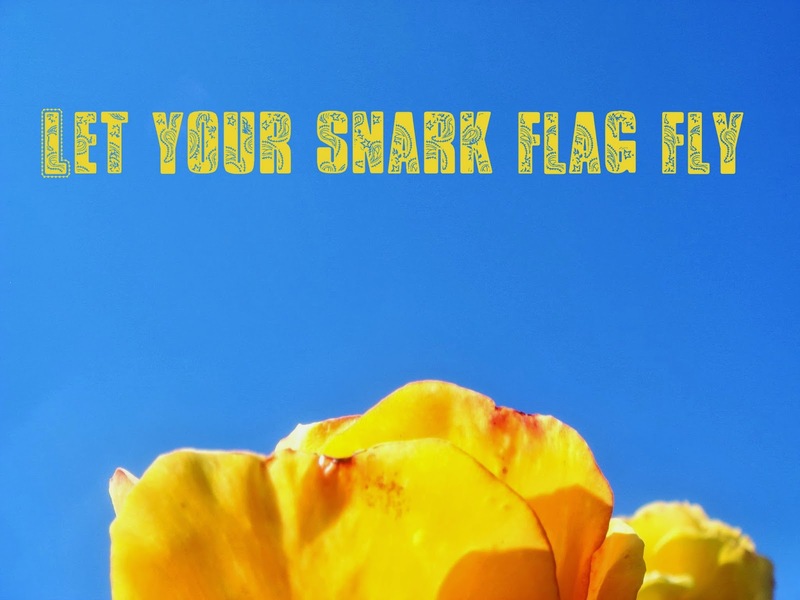 Give yourself a break and let your snark flag fly. Then go back to being the nice person that you really are. You'll thank yourself for it. Who or what do you love to hate? What do you do to give yourself a break from being on your good behavior? This past year has been a pretty big one around our house. The younger girls changed schools. My oldest daughter moved out of state and his daughter started college. I have battled severe depression and social anxiety disorder. It all sounds a bit stressful when you put it in writing. It has been, but I think we have learned a lot. We've learned that you can sit in the middle of an empty living room and choose 11 different paint colors for the interior of the house in less than a half an hour and actually love how the house turns out. We've learned that playing hide-and- seek in the dark is way fun around here. The biggest thing that all of us have learned is that we are a family. An odd, slightly crazy, blended family, but we can count on each other. I think we knew this before, but this move has solidified that fact. We can all come home and know that we are safe and that we are loved. I can't speak to what else the rest of the family has learned as individuals because I don't want to put words in their mouths, (like that has ever stopped me!) but I can tell you what I have learned. I have learned that there are both good and bad anxiety and how to tell the difference. Bad anxiety is when you have to leave your cart in the grocery store because you're pretty sure the panic attack you are having is going to kill you. The good kind is the low level anxiety that you feel when you are starting something good. When you are pushing yourself out of your comfort zone and into the awesomeness that awaits. However, the most important thing I have learned it what it feels like to be content. 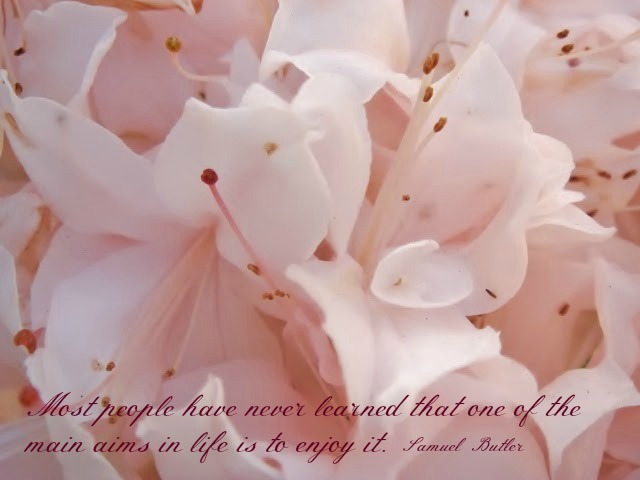 I have found that contentment feels like the happiness that everyone always seems to be chasing. It is loving the life that you live and continuing to grow and learn. Finding contentment in everyday life is so much more enjoyable than always looking for the next thing to happen. I know that there will be times when my bad anxiety flares up and that sadness and stress are a part of life, but I have the tools I need to help me make it through. Have you had any life changing or anxiety producing events in your life lately? How have you learned from them? Lately I have been pondering presence and what it really means. Don't dwell in the past. Okay, but how to actually practice it? Never think about the past or the future? Not gonna happen. How often have you been driving and got to your destination and have no idea how you got there or had your kids have to shake you to get your attention because your mind was a million miles away? I can't count the times I have stabbed myself in the eye with a mascara wand or failed miserably at a very easy Sudoku puzzle by not being present. Presence isn't just about paying attention. It is paying attention with intention, being fully there in what you are doing and single-tasking in a multitasking world. Meditation is a great way to learn the art of presence and it is the practice that has helped me the most. So, I have been working on being present and the results have been pretty amazing. I am much more aware of the other drivers who are driving while dwelling. My kids no longer sound like Stewie from Family Guy... Mom mom mom Momma momma momma...Mother mother mother. I'm no longer afraid of poking my eye out and I can do very hard Sudoku puzzles without cheating. 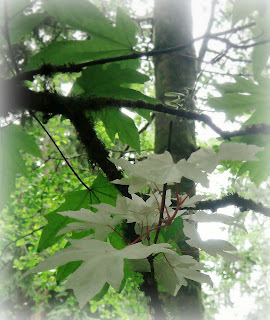 This is a single branch of white leaves on an oak tree. I wonder how many people have walked by and never seen this miracle of nature. 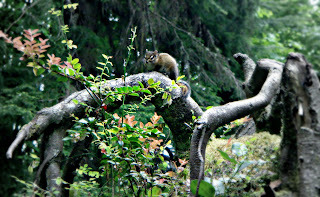 I spotted this chipmunk from far enough away from us that we could edge up on it and get some great photos. I doubt that I would seen these things if I had not been fully present. By learning to be present I have given myself a wonderful gift. How do you stay present and what magical things have you discovered by being present?